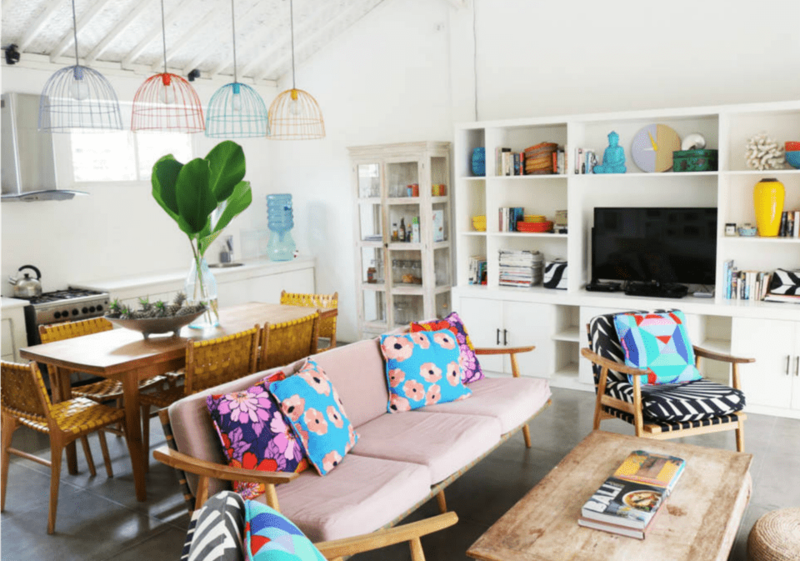 Airbnb is an online marketplace for vacation rentals that connects individuals who have a spare space to rent with travelers seeking a place to stay. Accommodations range from a spare room to shared space to an entire home or apartment. Airbnb has evolved rapidly from its launch in 2008 and now includes over 1.5 million listings in 190 countries. It quickly moved on from renting spare bedrooms to a more traditional vacation rental resource. Depending on the destination, guests can sometimes find unusual accommodations, such as treehouses, castles, houseboats, caves, yurts, tipis, and more. Don't buy into the stereotype that Airbnb is just for cash-strapped young backpackers who want to find a couch to crash on. A traveling family will never be interested in renting someone’s couch for the night, but staying in an entire apartment or house at an affordable price is certainly appealing to many. The biggest advantages of staying in an Airbnb rental are the same as other vacation rentals. You get the comforts of a home and can choose properties with separate rooms for sleeping—and sometimes children's bedrooms—along with other rooms for relaxing and dining. With a kitchen, you can store the snacks and drinks that your family likes and even prepare your own meals. Each Airbnb host can decide whether or not to allow infants or children in their space. If a host adds Family/Kid Friendly as an amenity, this implies that infants, children, and families are welcome. Yet be aware that kid-friendliness is subjective. Consider your children's ages and developmental stages. If you don't want to lug a stroller up flights of stairs, then look for properties with ground-level entries. If your toddler needs complete quiet to fall asleep, ask your host about traffic noise in the neighborhood. Begin by selecting a destination, travel dates, and the number of people in your party including infants and children. Sign in with email, Facebook, or Google to create an account with a password and user profile. Choose an entire apartment/home, private room, or shared room. Use the sliding scale to select your desired price range. Use the map feature to find listings in your desired neighborhood or location. Click "More Filters" to narrow by the number of guests, required number of bedrooms, required amenities (such as a kitchen, cable TV, free wi-fi), and more. In "More Filters," be sure to select the Family/Kid Friendly amenity. Select potential listings to see photos, amenities, and the number of bedrooms, bathrooms, and so on. Note additional charges, such as one-time cleaning and service fees, which can add significantly to the total cost. When booking, be sure to mention to your host that you will be traveling with kids. If the hosts are parents themselves, they may have games or toys to borrow, or they may be able to help accommodate your needs in other ways. If traveling with a toddler or preschooler, be sure to ask about potential dangers such as stairs. What kind of beds are available? Ask your host to remove breakable or fragile items displayed within a young child's reach.